The finalists head to the Shuttle Landing Facility on Florida's Space Coast to consider the risks of the job. They experience weightlessness at 30,000 ft and dive down to an underwater facility. One of the best thing to watch if you want to become an Astronaut. AS an Aspiring Astronaut, at first it was difficult to understand how exactly the training process worked and on what basis were the candidates selected. After Watching this show, it's crystal clear. It also provides with great inspiration for other aspiring astronauts. 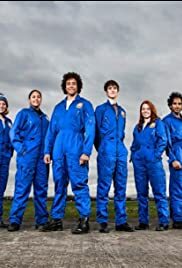 I think if everyone on this planet watched this show, they'll definitely have greater respect for scientists, astronauts, engineers and everyone in the STEM community.